Cook the onion until soft. Add the garlic and cook for 1 minute. Add the tomato and simmer for 15 minutes. 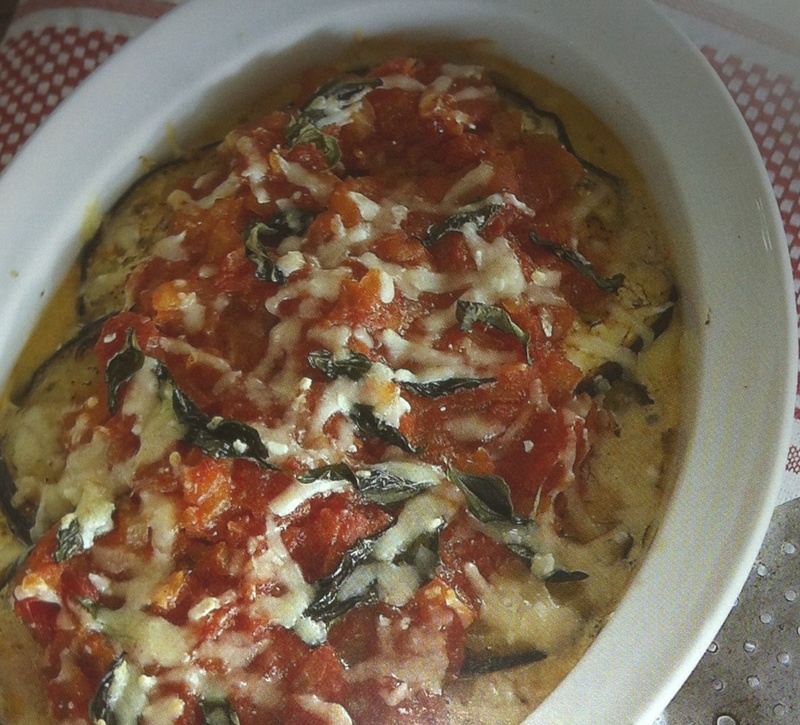 Place one-third of the eggplant slices in a 1.75 litre (61 fl oz / 7 cup) ovenproof dish. Repeat the layers, finishing with a good layer of the eggplant. Pour over the tomato mixture. Scatter with torn basil leaves, then the parmesan/mock. Bake for 40 minutes and serve. If you prefer not to fry the eggplant, brush it slightly with oil and brown lightly under a hot grill. To peel the tomatoes, score a cross in the base. Put in a heatproof bowl and cover with boiling water. Leave for 30 seconds, then transfer to cold water and peel off the skin.